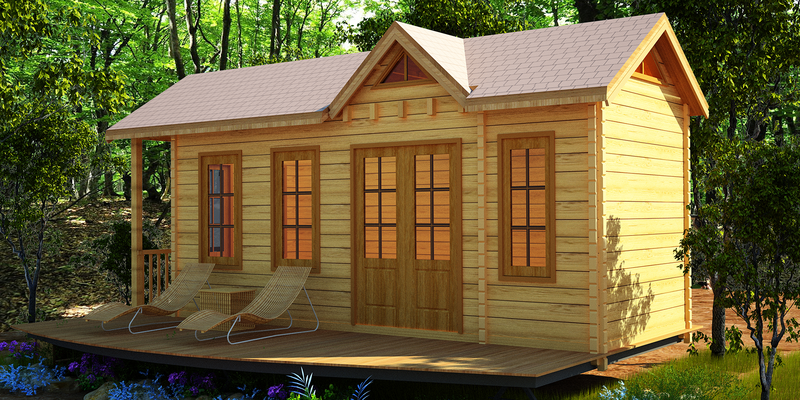 This tiny house kit can be placed on a trailer or a permanent or semi-permanent foundation of your choice. 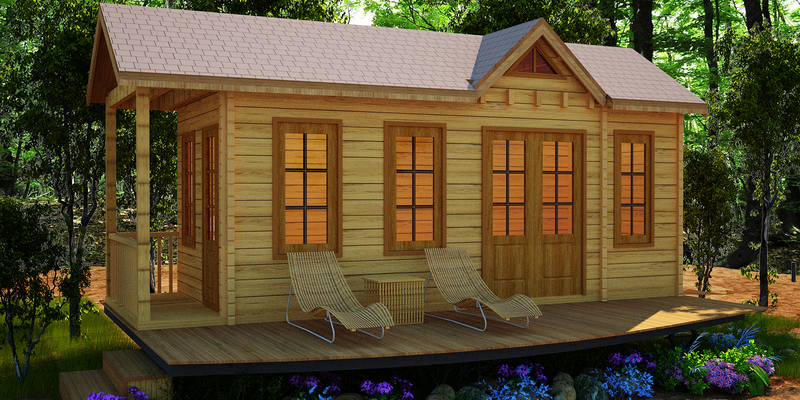 When assembled, this tiny house kit provides a shell which can be divided up or left open according to one’s needs, tastes, and budget. We encourage you to think of the shell as a “blank canvas” with nearly limitless possibilities for you to express your personality and creativity. Note: Roofing materials and stain are not included. Transportation costs to the delivery site are not included. All designs, images, and names are proprietary and copyrighted. Written permission required for re-use.